Giving back. Supporting important charitable efforts that resonate with the players. Building friendships amongst the current and former players, and enjoying a nice day on the golf course. For 21 years, the NHLPA Golf Classic has been all of these things, and 2013 was certainly no different. Taking place at the iconic Glen Abbey Golf Club in Oakville, Ontario, just two days after some of the best golfers in the world battled it out on these same fairways in the 2013 RBC Canadian Open, more than 30 current and former members of the NHLPA, along with corporate partners and various sponsors hit the links on Tuesday for the 21st annual Players’ tournament. As has been the case throughout its history, the event once again was focused on supporting a host of worthy charities. 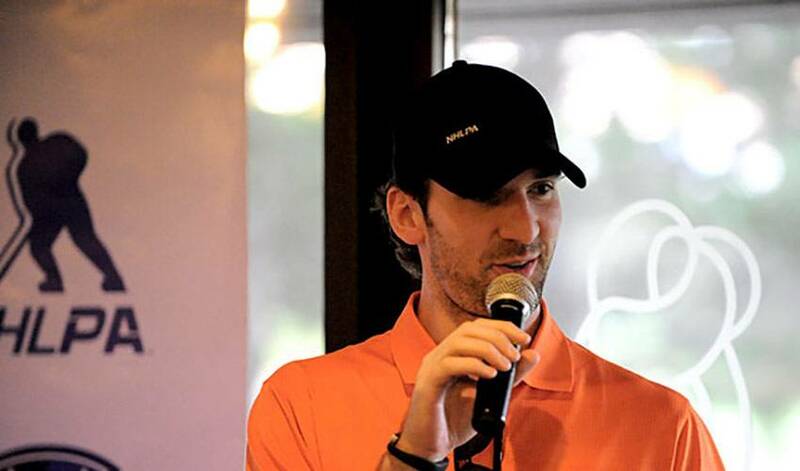 The 2013 NHLPA Golf Classic donated more than $100,000 to various players’ charities, including Harding’s Hope (through team captains Josh Harding and Martin Biron), Clarky’s Kids (David Clarkson), Juvenile Diabetes Research Foundation (Cory Conacher) and Look Good, Feel Better (Chris Campoli). Along with supporting the various charities, the current and former players on-hand were also able to celebrate some of their history at Glen Abbey on Tuesday, as former Executive Director Bob Goodenow was in attendance and was feted by the organization and players that he helped guide for 16 years, receiving a tribute and an honourary plaque to highlight his time as leader of the Players’ Association. Blessed with a picture perfect day weather-wise, all four of the charities being supported by the Players were worthy recipients. David Clarkson’s group for ‘Clarky’s Kids’ and the groups supporting Josh Harding’s ‘Hardings Hope’ both took home $40,000 each for their charities, with Cory Conacher’s group and Chris Campoli’s group taking home $10,000 each for their charities. Following the completion of the round, Players and guests made their way inside the Glen Abbey clubhouse for a BBQ banquet and reception that was emceed by Toronto media personality Gord Stellick. The evening featured speeches from NHLPA Executive Director Don Fehr, Bob Goodenow and a few brief words from former Players and guests. The annual NHLPA Charity Golf Classic began in 1993 with current and former NHL players teaming up with corporate sponsors to benefit chosen charities throughout the years. Since its inception 21 years ago, the tournament has raised over $3.2 million for the designated charitable causes.